Merry Christmas! I hope you enjoyed good food and the company of friends and family. My father is ill and unable to join us for Christmas lunch, held this year at my brother’s home. I hope he is feeling better today. 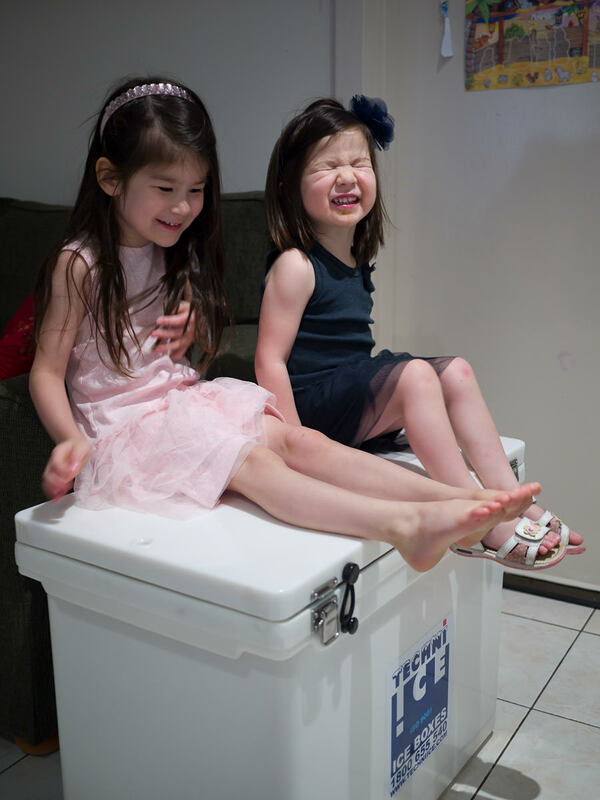 My nieces, four-year-old Ruby and two-almost-three-year-old Zoe, are really excited about Christmas and tell me so as they sit giggling on top of their daddy’s ice box. I join Zoe in the lounge to play LEGO. 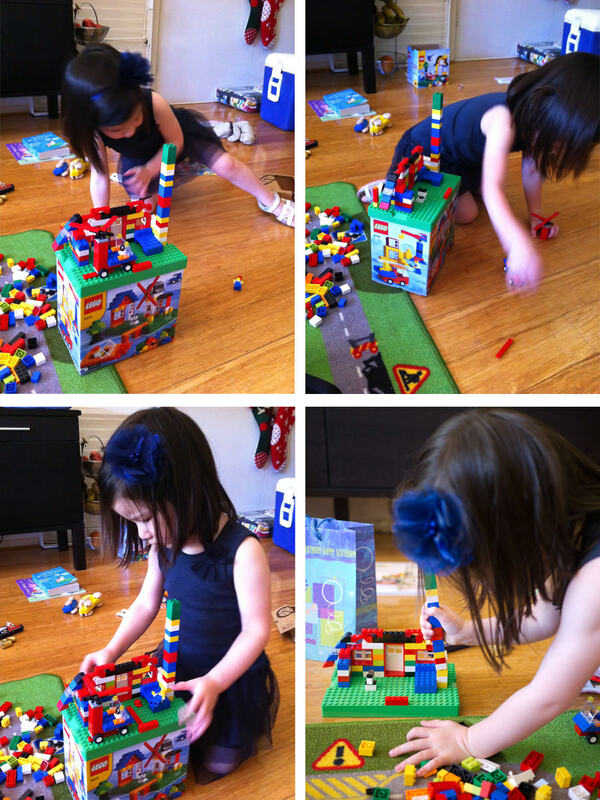 Her mum helped her build a house and her dad helped her build a flying car. Zoe proudly shows me the door and windows in the house and the helicopter propeller attached to the car. Now she’s intent on constructing a high-rise extension to the house. Incidentally, Santa brought me LEGO too – this wonderful lighthouse. Ruby is in the kitchen helping her mum prepare the appetisers. 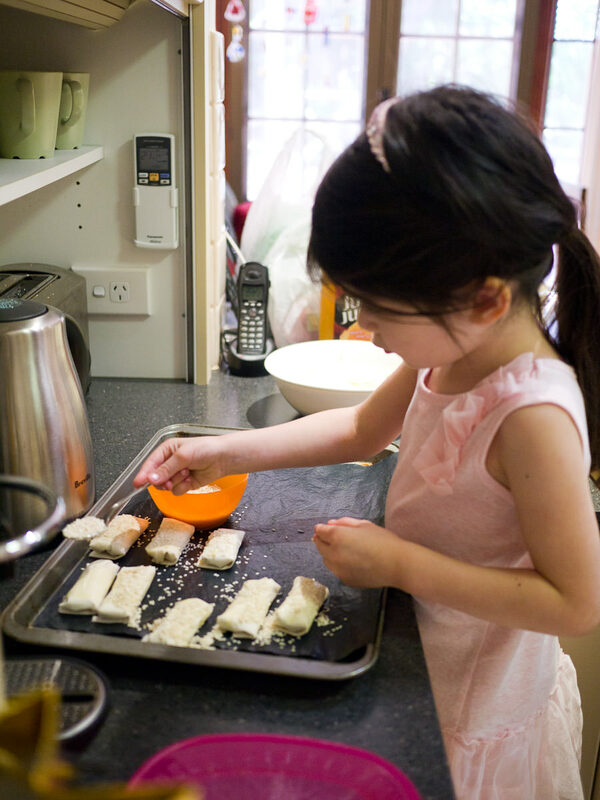 Her mum wraps a mixture of pecorino and ricotta cheeses with fresh herbs in sheets of filo pastry before Ruby delicately brushes each little parcel with melted butter and sprinkles sesame seeds on top. 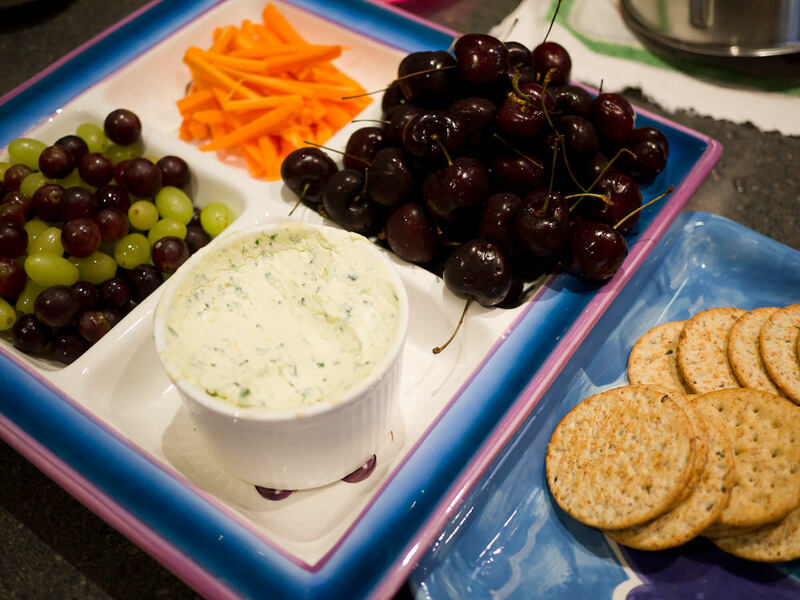 There are nibbles for those feeling peckish before we sit down to lunch. Well… we graze on this throughout the afternoon. I’m waiting for Juji and Jay to arrive so I can start making punch – they’re bringing the soda water. And even more exciting is the arrival of Juji’s baked ham, which Jay carries in a laundry basket. 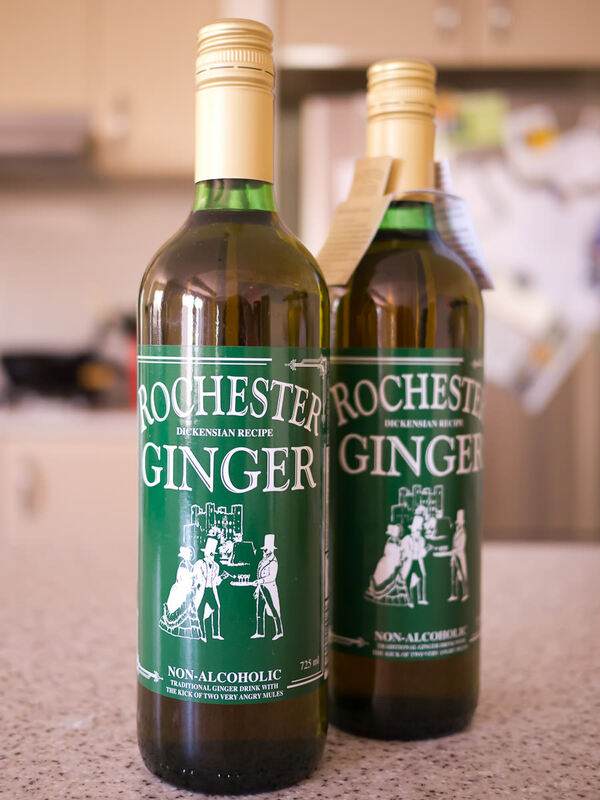 I was recently sent a couple of bottles of Rochester Ginger to sample. 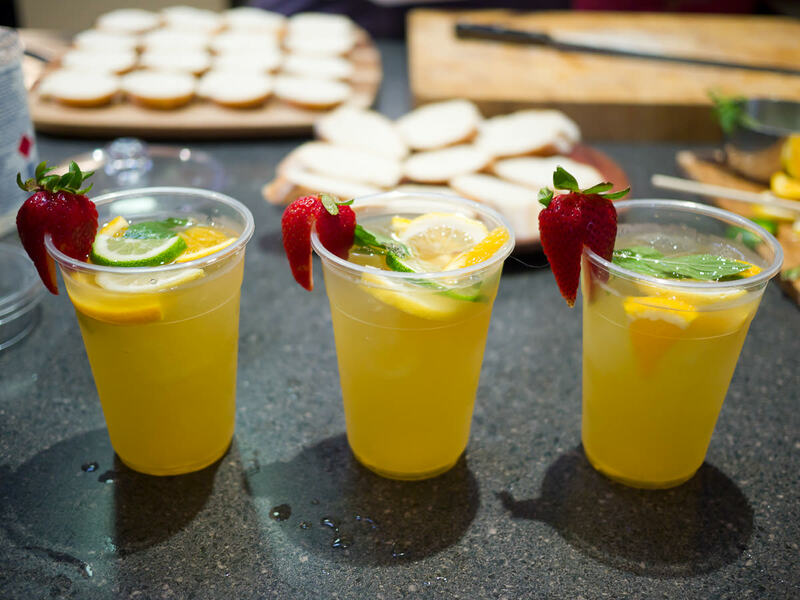 It’s a non-alcoholic drink made from a recipe that dates back to the 1870s, originally from the town of Rochester in Kent, England. The punch recipe I’m making comes from the Rochester Ginger website. 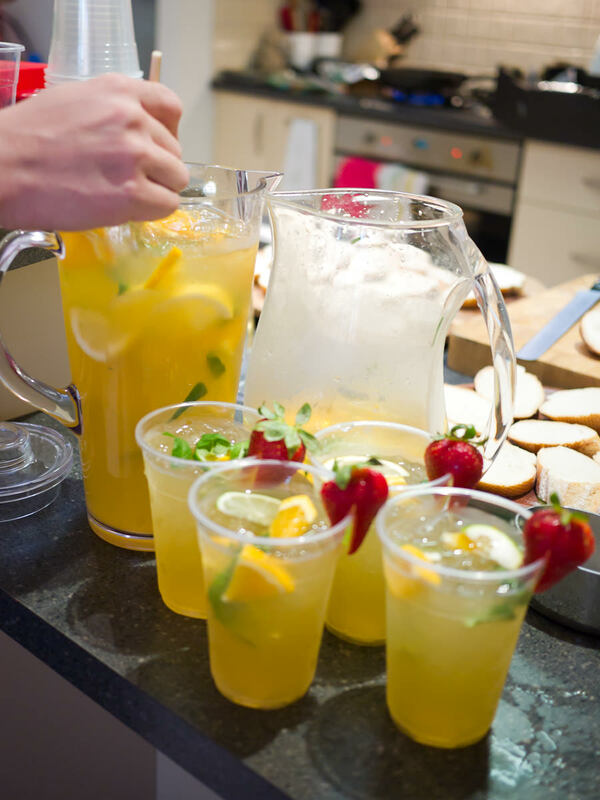 The punch is easy to make: 1 cup of Rochester Ginger to 2 cups of apple mango juice, 1 litre of soda water and a cup of ice. I add torn fresh mint leaves and sliced oranges, lemons and lime. I garnish each drink with half a strawberry. Jay helps me and we make up a couple of batches of punch so there’s enough to go around. We end up adding extra apple mango juice for more sweetness and extra Rochester Ginger for a little more kick. 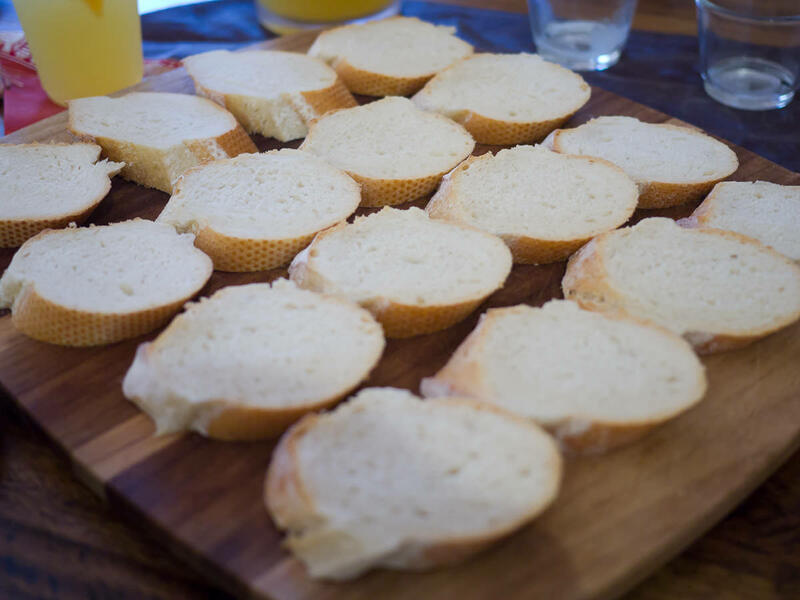 It’s very refreshing – a success! Meanwhile, my brother is cooking up garlic and chilli prawns. 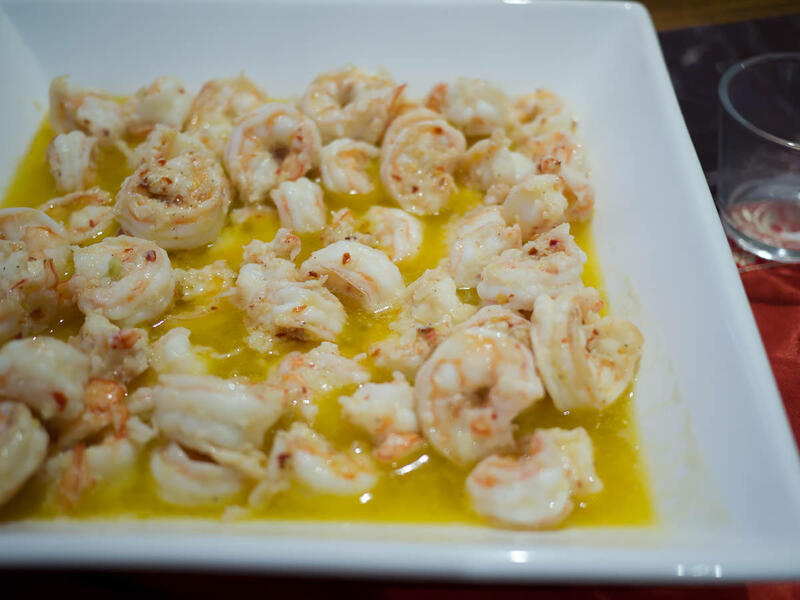 He serves the prawns with sliced crusty bread that we dip into the tasty garlicky oil. 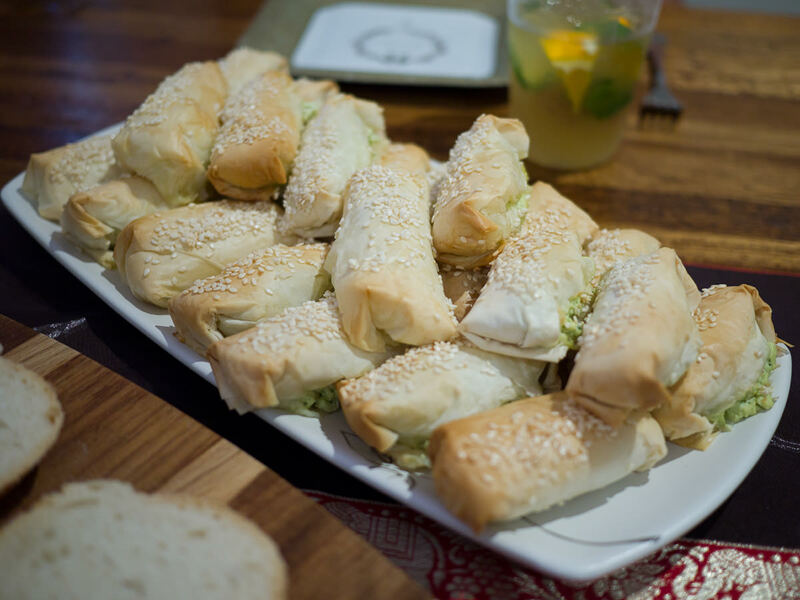 The filo pastry cigars are hot from the oven, crisp on the outside with the soft cheesy filling inside. Ruby’s aunts and uncles admire her fine sesame sprinkling technique – she is chuffed! There’s homemade tomato and chilli chutney to go with the filo cigars but they’re good even without sauce. I’m stoked that I’ve been lucky enough to be sitting right in front of that dish of prawns (how did that happen? ;))! 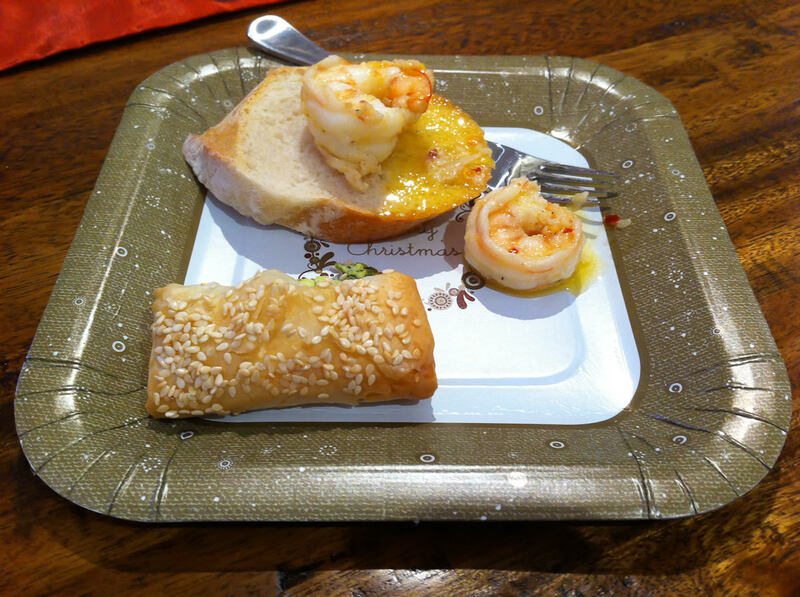 Ruby especially loves the prawns, Zoe loves the bread and Caleb loves the filo pastry. Me, I love it all, but that garlic chilli oil is dangerously good! Last Christmas, my sister-in-law Angela was still pregnant with Caleb. He was born two days after Christmas day and is almost one year old. 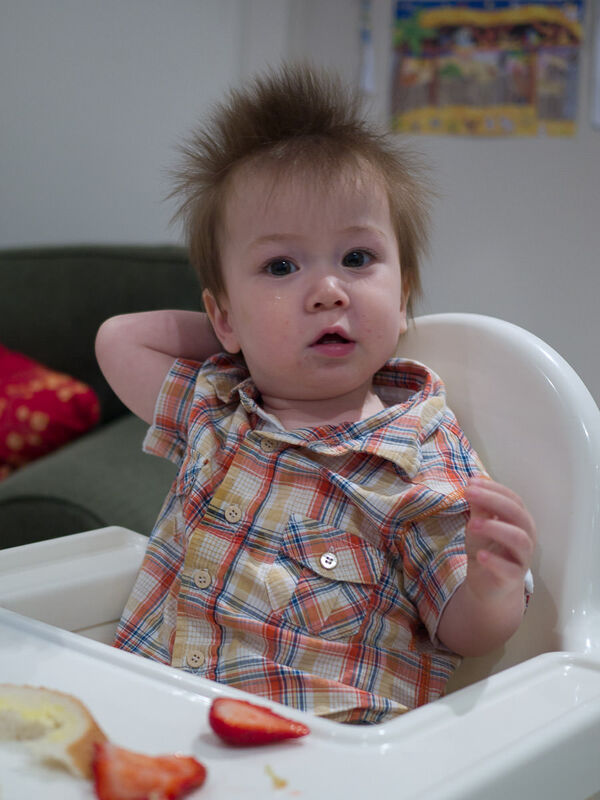 He’s a cute little fellow with a strong grip and a shock of spiky hair (like his sister Ruby used to have). He’s bright-eyed, full of beans and a big eater like his sisters. 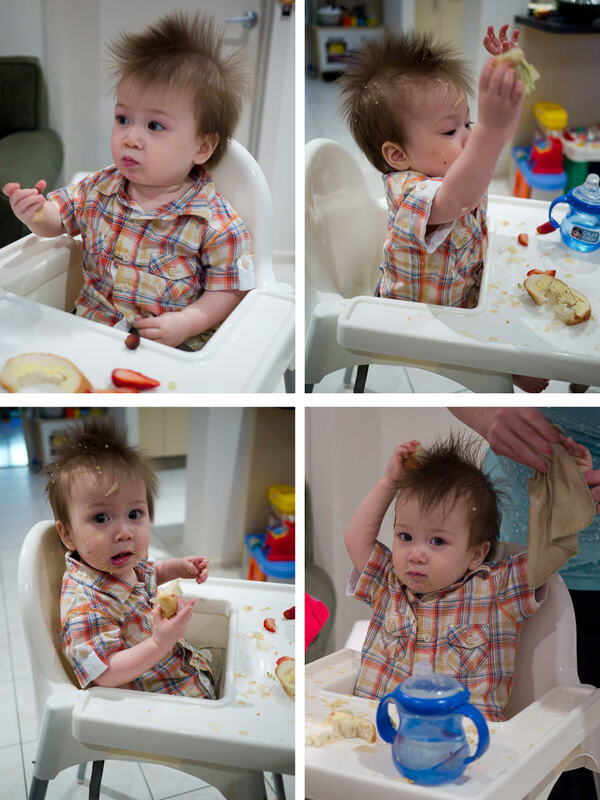 He has a fantastic first Christmas lunch and somehow ends up with filo pastry in his hair! He’s not so pleased when his mum cleans him up afterwards. 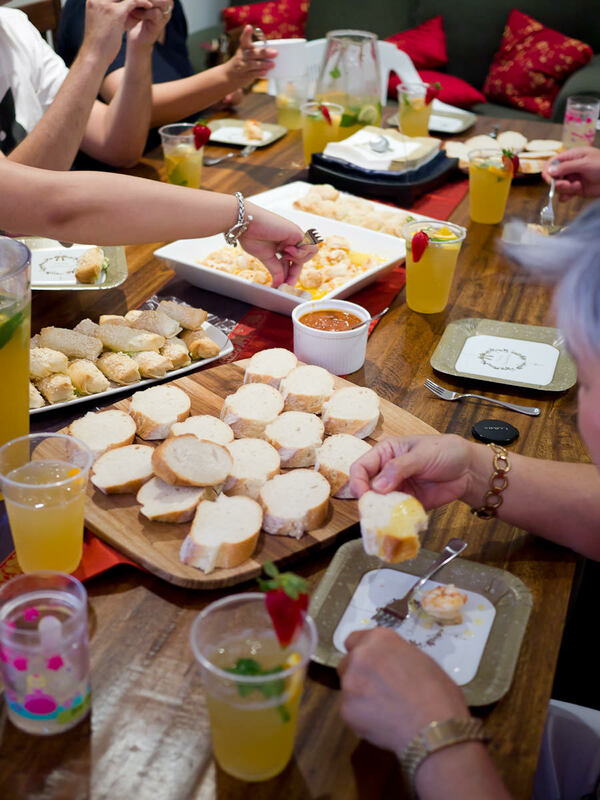 After clearing the dishes, a short rest and exchange of gifts, it’s time to get ready for the main course. I’m supposed to make the salad for lunch but am hopelessly distracted by the mesmerising carving of the baked leg of ham. 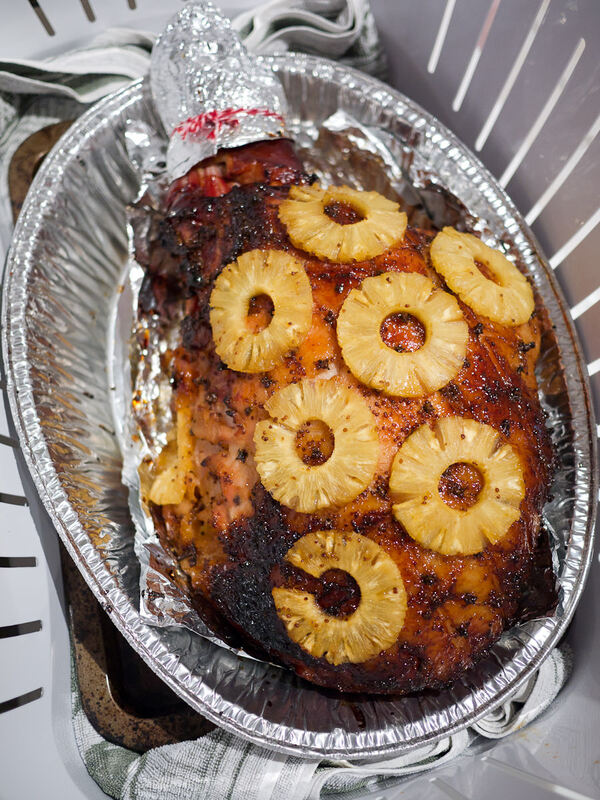 The ham’s been glazed with orange juice, brown sugar, honey and wholegrain mustard – it looks magnificent and smells delicious. 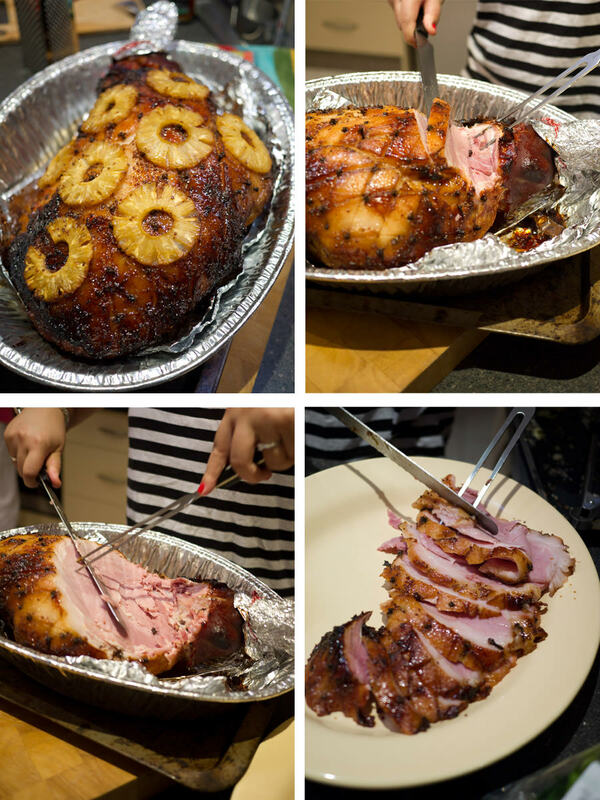 Juji removes the pineapple rings before carving off thick slices of ham. I can’t wait to eat a pineapple ring. 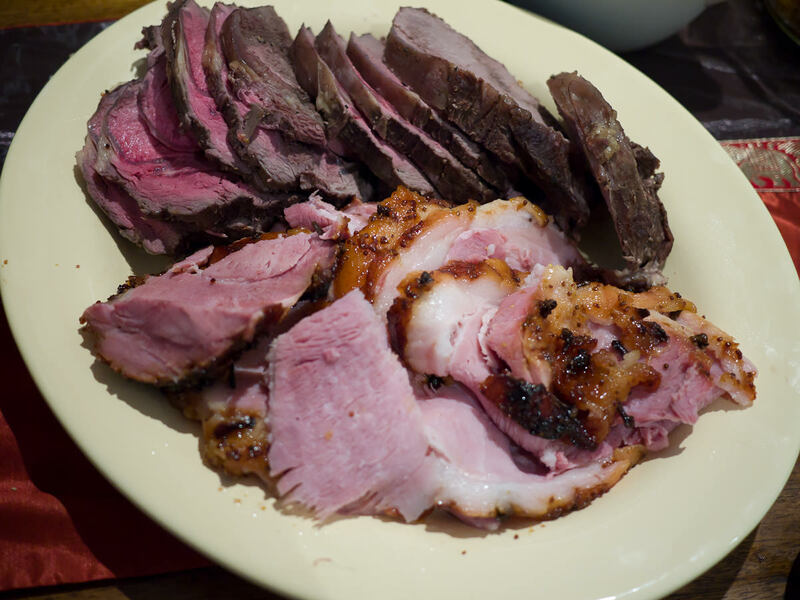 The ham is placed on the same platter as my mum’s roasted beef scotch fillet. The beef ends are very well done but the rest is still nice and pink. The salad recipe is one that Jac often makes for parties and is so easy that even a lazy cook like me can manage it! 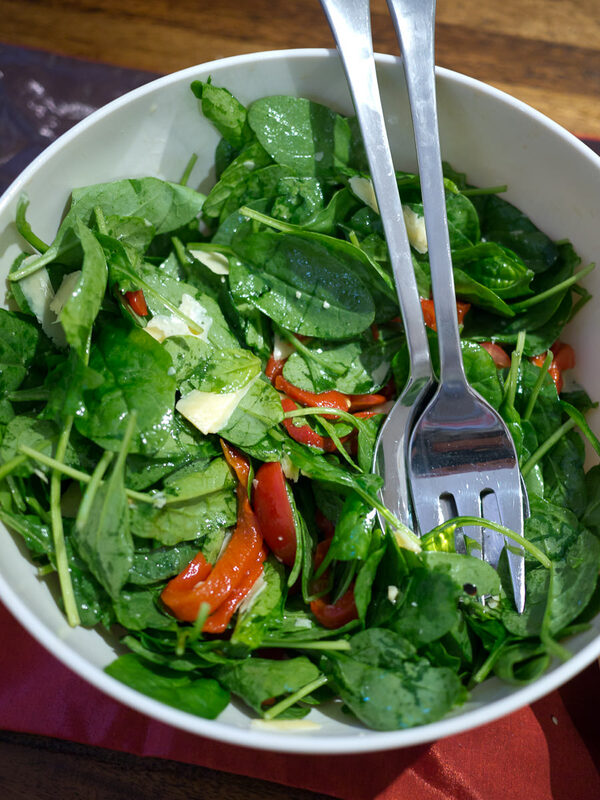 Place spinach leaves and baby Roma tomatoes (or cherry or grape tomatoes) in a bowl. Add Italian-style roasted capsicum (bought in a jar), along with some of the fragrant oil from the jar (as much or as little as you want to dress the salad) and finish with shaved parmesan cheese. 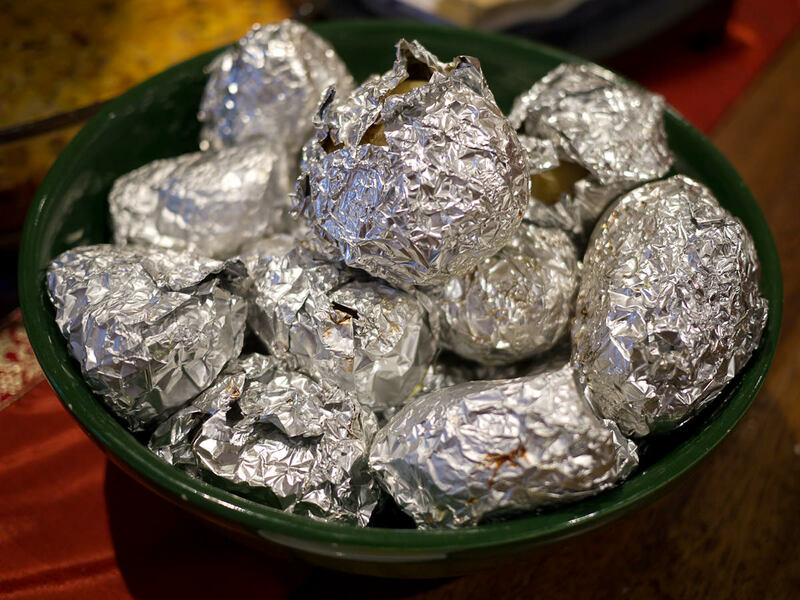 Mum’s also roasted jacket potatoes and sweet potatoes. 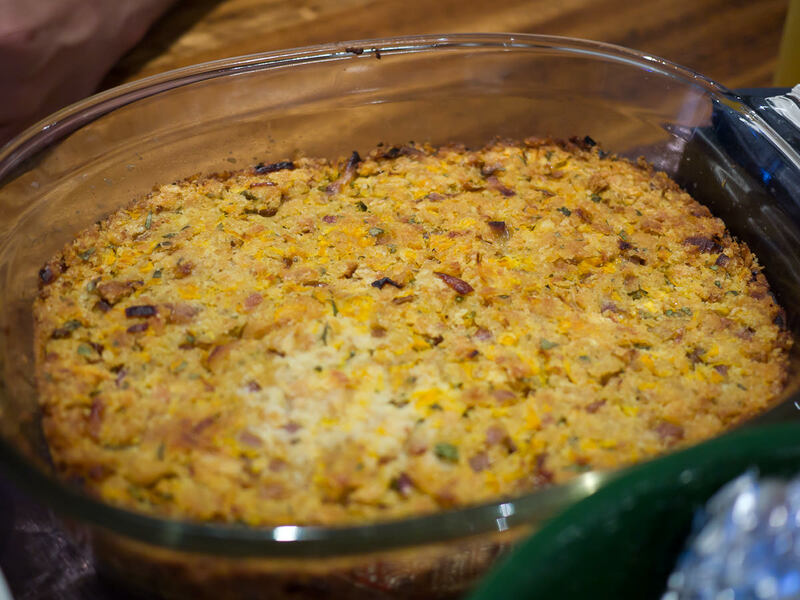 Angela’s made her family recipe baked stuffing. I eat this dish once a year and I love it! The last thing done is the gravy for the beef. When that’s ready, it’s time to eat again. 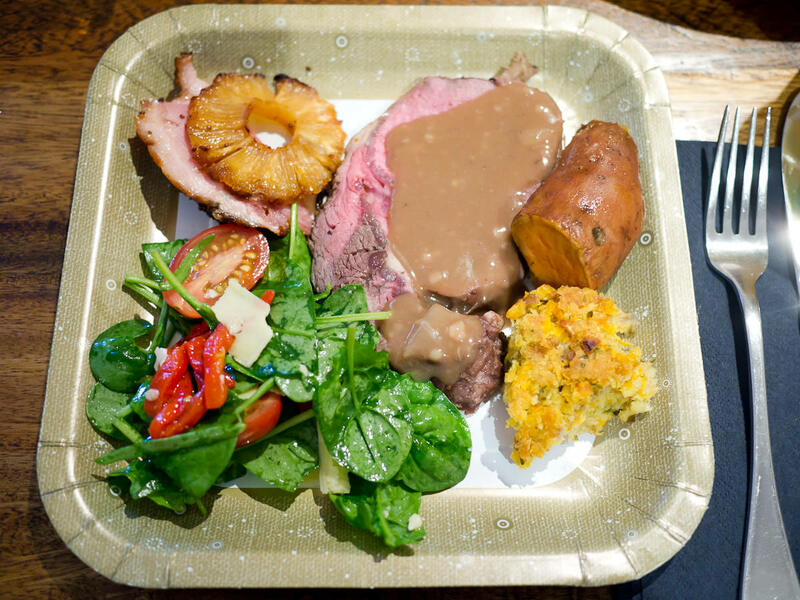 On my plate, a bit of everything: ham and pineapple, beef and gravy, roasted sweet potato, stuffing and salad. We need a slightly longer rest between main course and dessert! We have two lovely treats for sweets. First, Juji’s special Christmas macarons: the Elvis sandwich, with banana white chocolate ganache, peanut butter and salted peanut brittle. We’re fans of sweet-salty combinations, so these go down very well indeed. 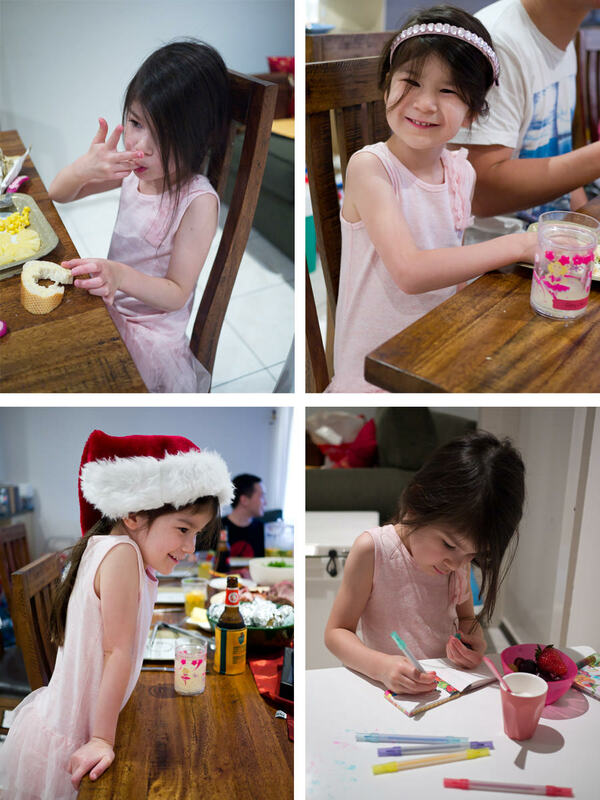 Read Juji’s blog post: Macaron Christmas! 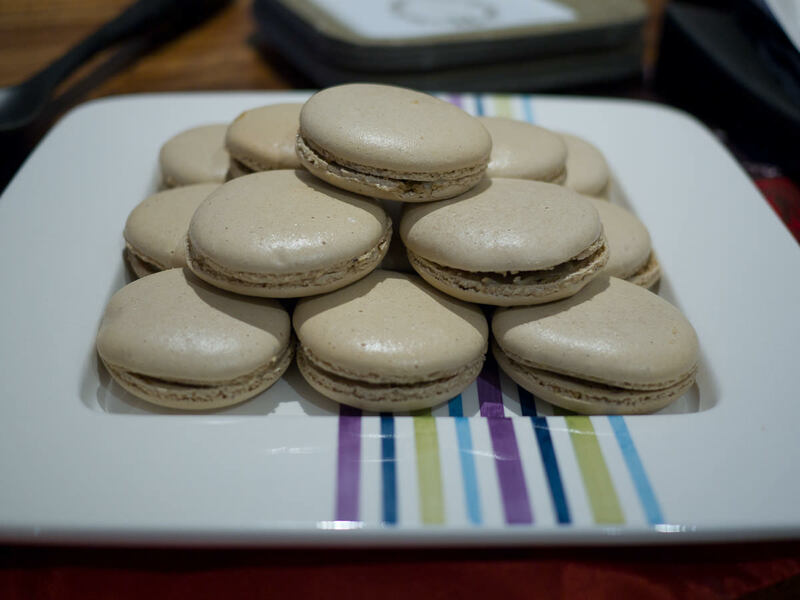 Juji’s special Christmas macarons: the Elvis sandwich – banana white chocolate ganache, peanut butter and salted peanut brittle. 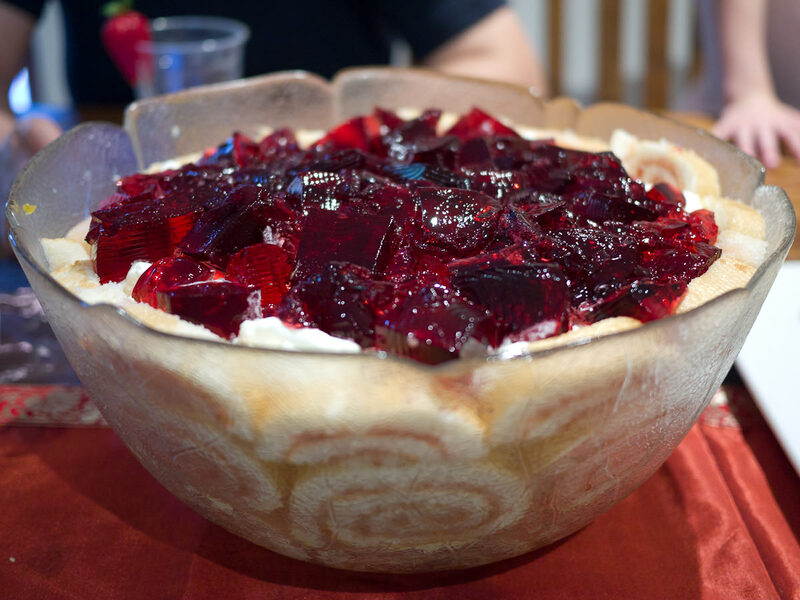 Our eldest sister CW has made an enormous trifle topped with gleaming wobbly port wine jelly. 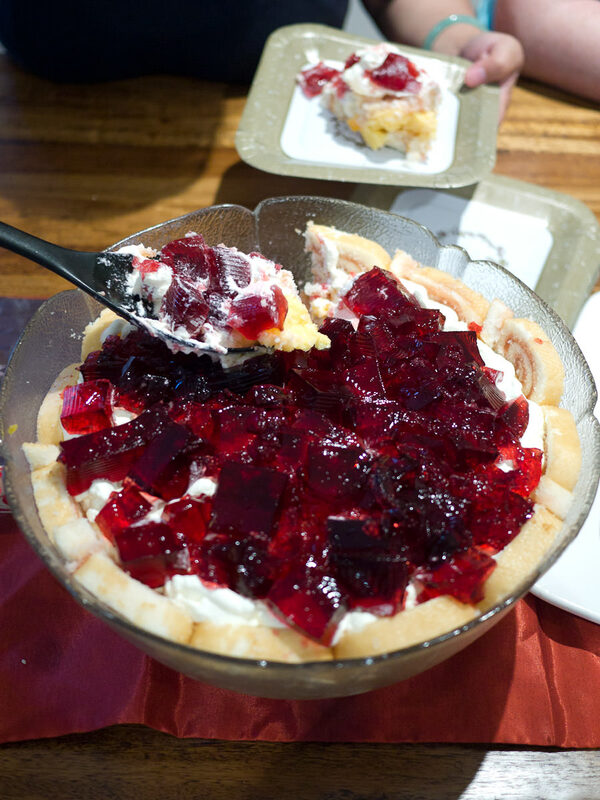 When I was a child, I didn’t like trifle because it’s so mushy and messy. Now I have learned not to worry about how it looks but instead enjoy the cold layers of sponge cake, custard, fruit, cream and jelly. 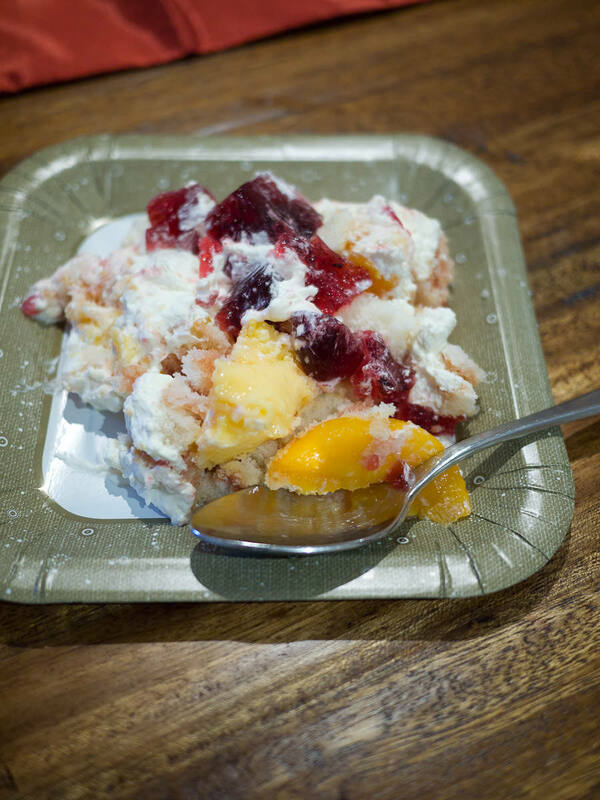 It’s the perfect dessert for a summer Christmas. 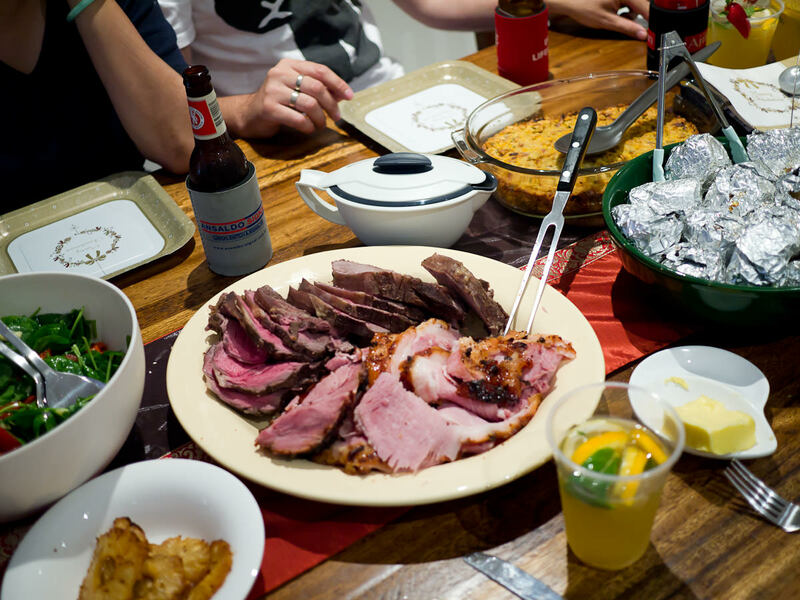 We all get to take home ham, beef, macarons and trifle to continue our Christmas feasting. There are also homemade gifts of snickerdoodle cookies, shortbread, fruit cake, chutney and chilli sauce! Sometimes, food says more than words ever could. My nieces have enjoyed Christmas. They both get tired and cranky at different points of the afternoon, but that’s easily fixed with cuddles and quick naps. When they wake up, they rejoin the party for dessert, babycinos, cherries and Lindt chocolate bunnies! 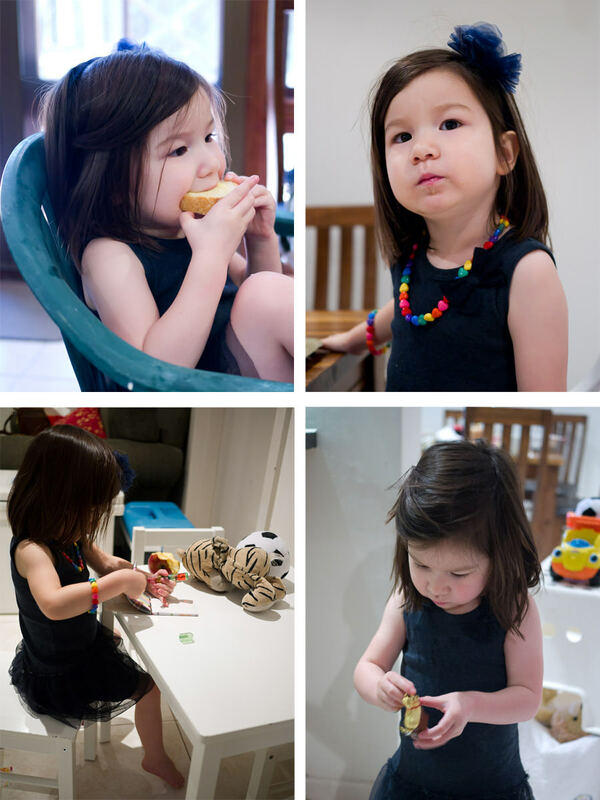 Every time I look at my photographs of my nieces and nephew, I marvel at how fast they are growing. It’s an honour to play a part in recording our family’s history. Hope you’ve had a good Christmas. I can’t believe yet another Christmas is over and 2012 is just about here.